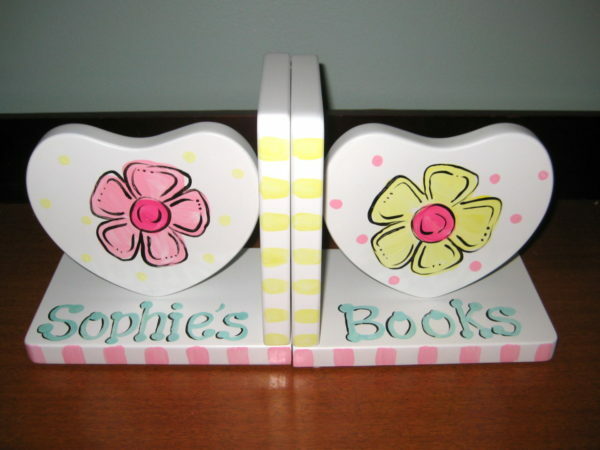 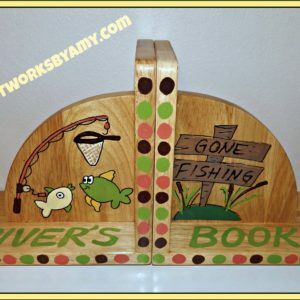 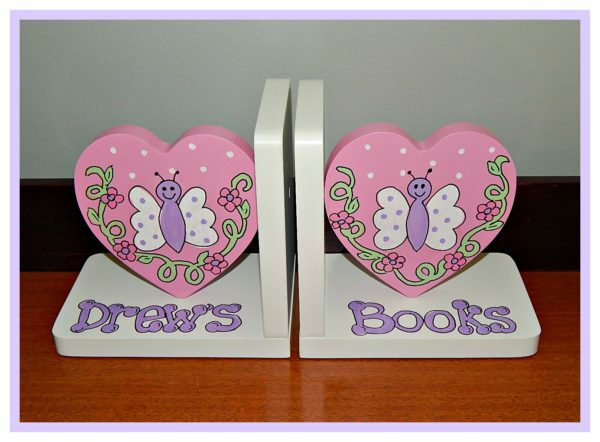 Keep your child’s books displayed neatly with these beautiful wooden bookends. 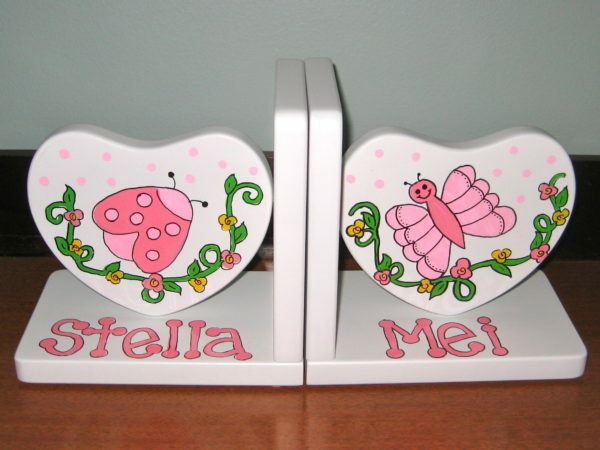 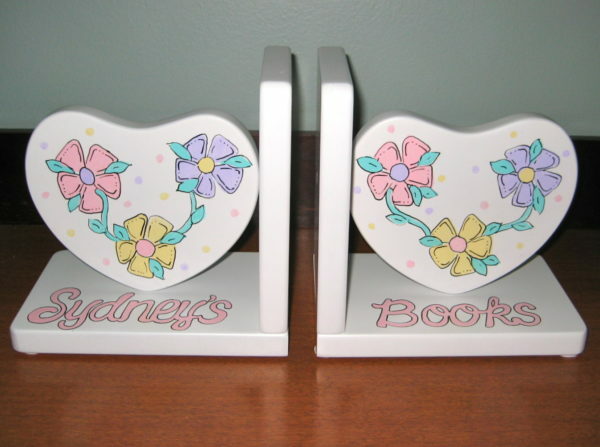 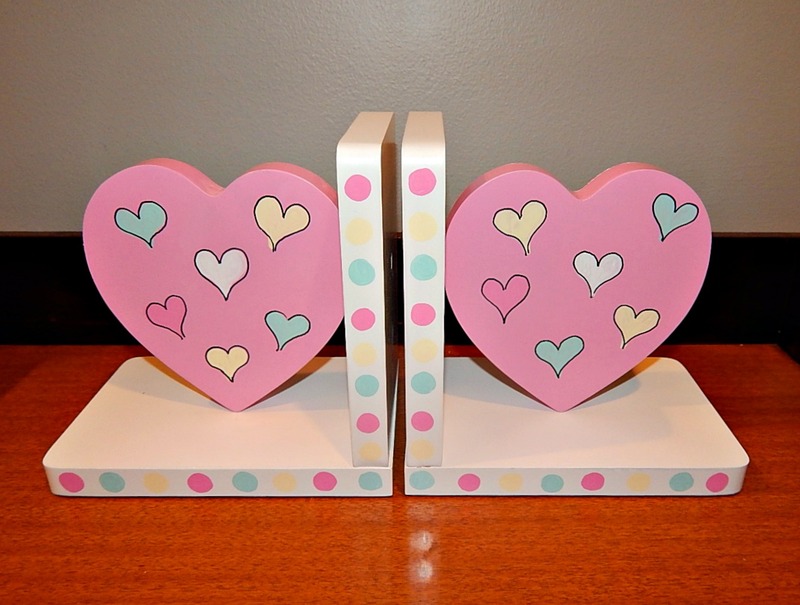 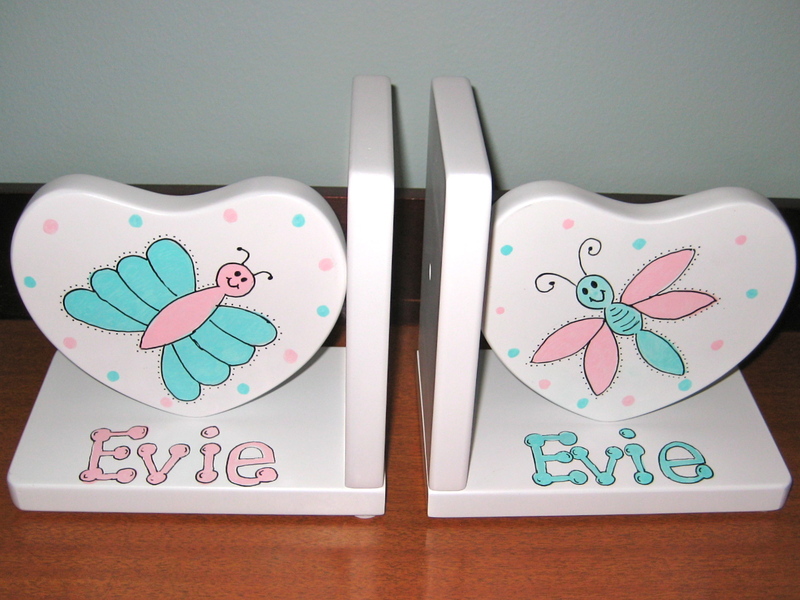 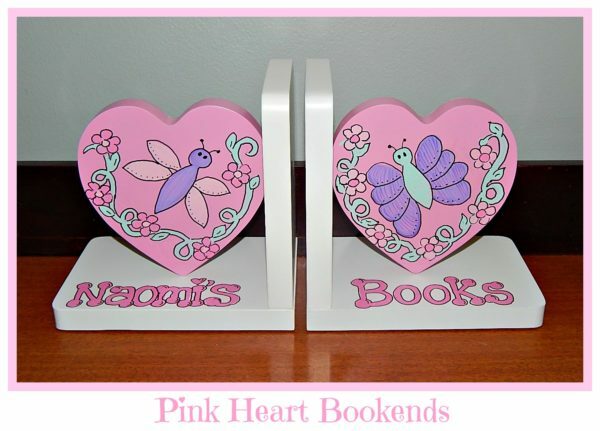 Pink Heart Bookends are quite feminine in design, but are very sturdy and solidly made of wood. Each bookend has four scratch resistant furniture protectors on the bottom. 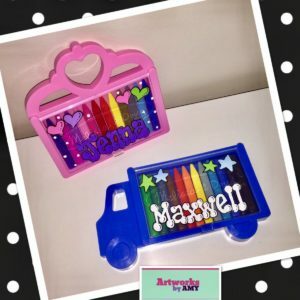 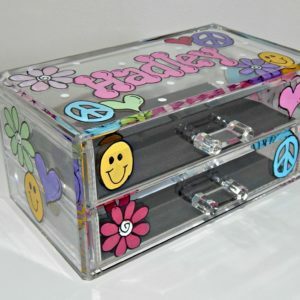 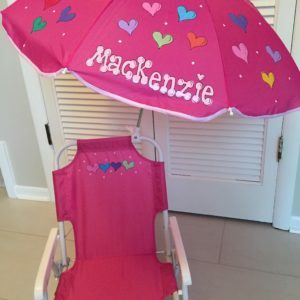 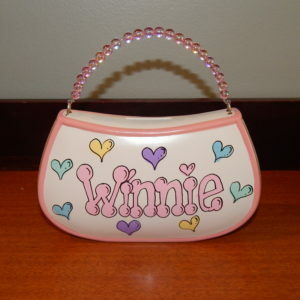 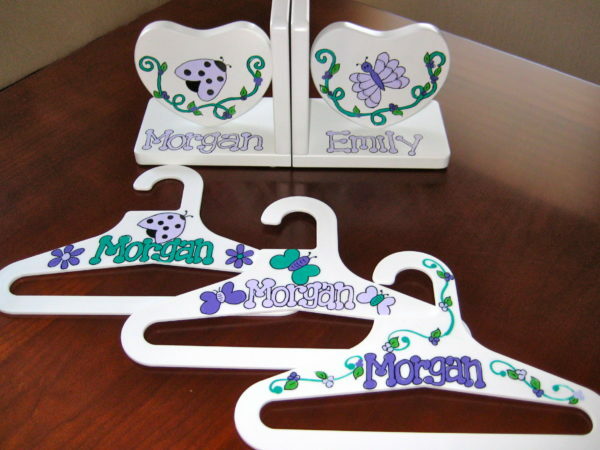 When placing your order, choose from our many design ideas and please enter the name you would like added to your purchase.